As they say, membership has its privileges. From low cost loans to friendly, attentive service, Greater Salem Employees Federal Credit Union is dedicated to keeping its members happy. The credit union strives to provide many convenient services to its members and works individually with members to ensure quality one-on-one relationships. Staff at the credit union know most of their members on a first-name basis and are willing to work with you on whatever your financial needs may be — try finding that a a big box bank. Who is eligible? Any employee whose company is part of our field of membership [clarification!] are eligible for membership. Once a member, any of your immediate family can join as well! Your spouse, children, parents, brothers, sisters, grandparents and grandchildren can all become members, too. Got five bucks? That’s all the initial cost is of setting up and maintaining a regular share savings account. 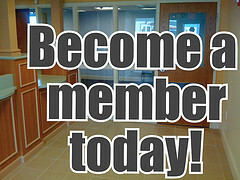 Fill out a Membership Application Card and you are then eligible for all the benefits of membership in the Greater Salem Employees Federal Credit Union. And, keep that five dollars in your savings and you and your family can remain life time members of the credit union even if you leave your place of employment.